AFO’s are prescribed for people who have an interference in the strength of the muscles that lift the foot up when walking or in the ability to control the muscles of the lower leg. Usually prescribed to help lift the foot when there is a weakness in the leg muscles. This can be as a result of surgery (hip or knee replacement), impingement of the spinal nerves or from the effects of a neurological disorder (MS, Polio, Stroke). They are normally fitted into the wearers footwear and are relatively low profile. Made to measure AFO’s are prescribed when there is more control needed i.e. if there is spasticity or increased tone present. They are also used if an off the shelf AFO cannot control the movements of the foot & ankle and is having an effect higher up the leg or if an ankle needs to be immobilised. Made to measure AFO’s are normally manufactured from a cast of your leg. 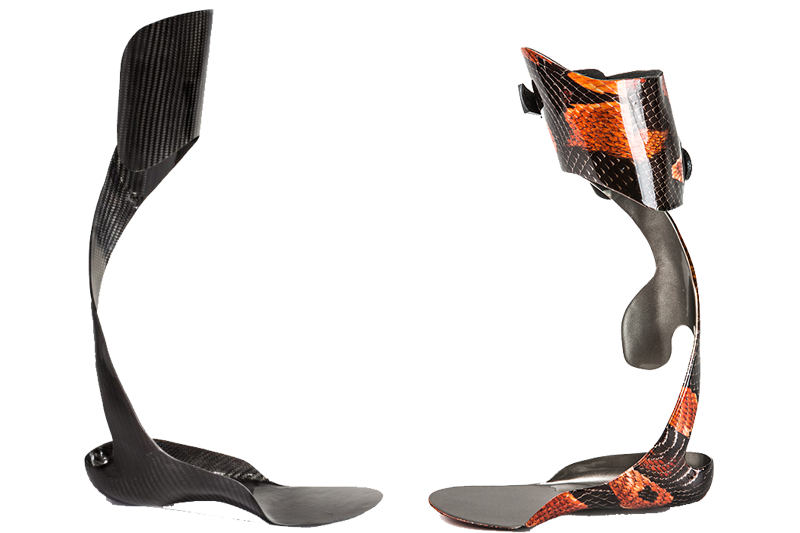 Composite materials have made the use of these AFOs more appealing to users as they can be manufactured in lightweight materials but still offer the control of plastic orthoses.